Duck salad, soba noodles, cucumber, snow peas, pickled ginger, chilli, lemon, black sesame, fried shallots, coriander, spring onions and plum dressing. Heritage meets modern at Primary @ Pioneers Park on Peel Street in Berwick. 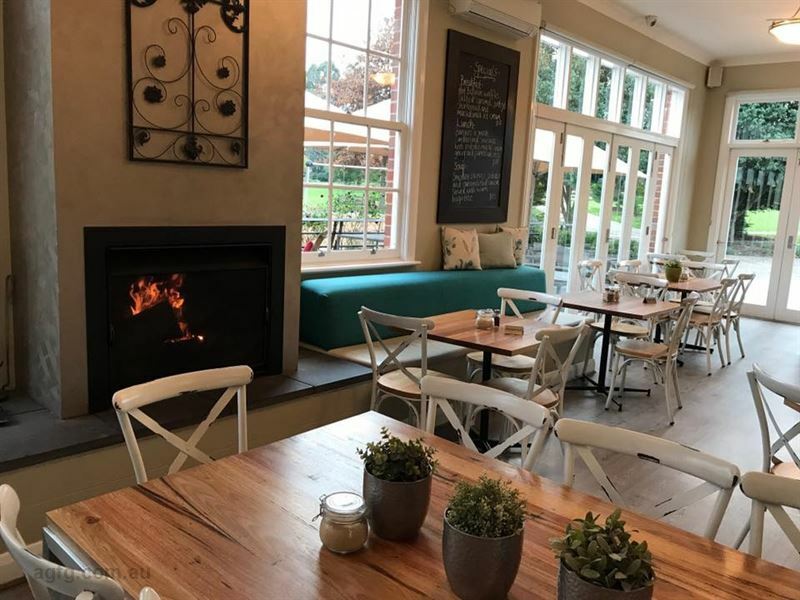 This Federation-style café is housed in an old primary school building, parts of which are heritage listed, and oozes shabby chic charm with a roaring fire, polished wood tables and white chairs, mixed with greenery and bright cushions, to create a relaxed yet glam vibe. French bifold doors open onto an enticing alfresco patio, where diners can chill under market umbrellas and peruse a menu of café classics, such as corn fritters, avocado, rocket, red onion, sour cream, bacon and sweet chilli sauce. Leisurely lunchgoers can delve into the likes of slow-cooked lamb and ancient grain salad, roasted sweet potato, currants, spring onions, chilli, lime, herbs and whipped feta; or salt and pepper calamari with miso mayo. Open this menu from Friday 5th of April to check out our new season offerings. Plenty of our classics but some new surprises as well. Click on more info to view our winter menu or call us on (61) 3 9768 9681.